At FGC we offer Warranty Insurance by GGFi, giving you extra peace of mind when you invest in any of our frameless door products as well as our entire home improvement range. Peace of Mind Warranty Insurance with GGFi. The GGFi is part of The Glass and Glazing Federation (GGF). FGC is already a vetted and approved member of the GGF, the leading industry body for the glass and window industry. Our Insurance backed guarantees provide additional peace of mind when investing in your home with any of our products. Reputable and professional home improvement business work ethically and professionally where your consumer protection matters as much as your business. We want you to have absolute trust in the products you buy from us and enjoy them for many years to come. What does a GGFi Insurance Backed Guarantee mean for you? 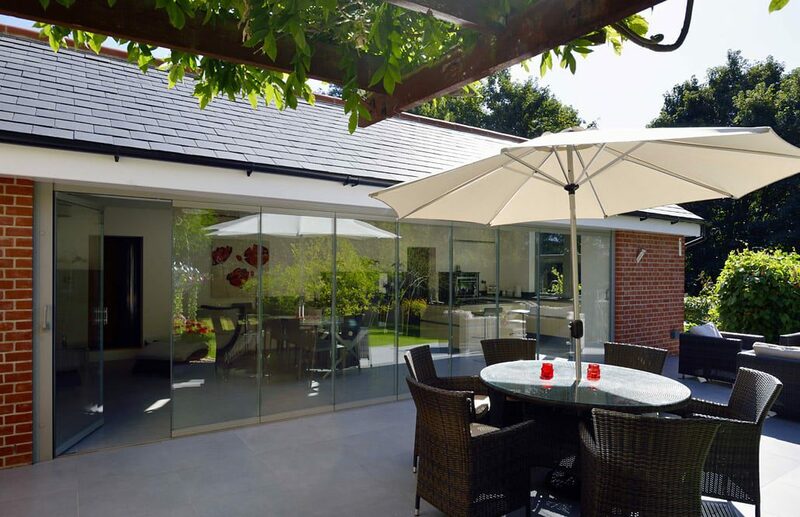 When you buy any of our frameless bifolding doors or other products, we provide you with a guarantee as well as your FENSA registration paperwork. Our GGFi Insurance Backed Guarantee protects you and your installation in the unlikely event of us ceasing to trade. You already have our reassurance that our guarantee means we correct any legitimate faults with your product within our guarantee period. Having an insurance backed guarantee means the GGFi steps in for you. By providing you with Insurance Backed Guarantees (IBGs), GGFi matches the cover for your guarantee period. GGFi also protects your deposit. Importantly, having FENSA membership also means we are required to provide Insurance Backed Guarantees as part of our FENSA membership. Therefore, as an established business, FGC protect your investment through membership of the Glass and Glazing Federation, FENSA membership as well as providing Insurance Backed Guarantees. Trusted products and service from FGC. The GGFi Insurance Backed Guarantee is part of The Glass and Glazing Federation (GGF) of which we are also vetted and approved members. Part of this membership is the GGF routinely assessing our business, our processes as well as our financial health. Our GGFi Guarantee is a valuable form of insurance for the future, meaning you can buy our quality doors from our family business with confidence. The small print on our Insurance Backed Guarantees. All installations are covered except Balustrades. The Customer must reply to requested information within 20 days of the installation in order for the FENSA certificate and IBG to be issued. In the event that the business fails during the lifetime of the guarantee, any issues normally recoverable under the terms of the guarantee can be the subject of an insurance claim in line with the policy terms. Cover for the contract value or £25,000, whichever is the lesser in value. Deposit indemnity protection Cover provided by Glass and Glazing Federation (GGF). Deposit indemnity scheme, providing peace of mind for our customers. This covers 50% of the contract value or £12,500 whichever is the lower. Contact us for full terms and conditions and to ask any questions.